With an outstanding display of talent, our cross country team are winners again. 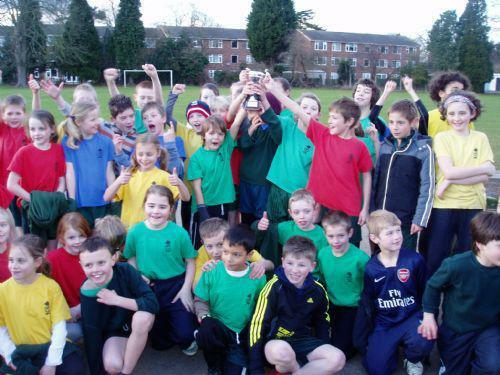 The Horley Schools Cross Country Competition, held at Yattendon just before half term, was split into four separate races. Year 3 & 4 girls and boys entered with year 5 & 6 girls and boys. MGJ were overall winners of all four races and therefore the whole competition convincingly. This is the fourth year running we have won this competition and continues to show the exceptional sporting ability our children have. Well done to everyone.